Take advantage of the Spring Special at our Chincoteague Island Bed and Breakfast and spend a few days basking in balmy spring weather. Relax on the brick patio at the Island Manor House, sipping wine and dipping into the snacks we provide. At this time of year, many ducks and ducklings take up residence in town. They walk up and down the roads like they’re out for a Sunday stroll, and everyone stops to let them pass in style. Sometimes they explore our gardens. The ducklings are adorable, and the parents appropriately proud. 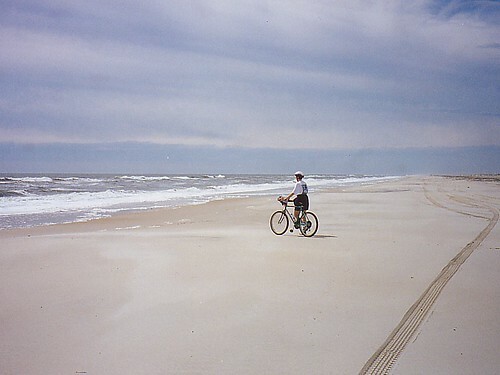 Borrow one of our bikes and explore Chincoteague and Assateague Islands (ask us about our favorite bike trails). If you like to get in a lot of miles, the quiet country lanes of the Delmarva Peninsula are just a bridge away. Borrow some beach gear and spend a day on the uncrowded beaches of Assateague Island. We have backpack loungers, beach chairs, towels, umbrellas, boogie boards, frisbees, and buckets and spades. The weather is usually quite pleasant in the spring–perfect for a day at the beach. There are a couple of fun events on Chincoteague Island in April. The Easter Decoy & Art Festival on April 6 and 7 fills the town with wonderful carved decoys and other art. The following weekend (April 13 and 14) is the Spring Pony Roundup, when ponies are herded into the Southern Corral to be seen by veterinarians. It’s a great opportunity to get a good look at the Chincoteague wild ponies. The Spring Special at our Chincoteague Bed and Breakfast takes 10% off a stay of two or more nights through the month of April. Ask us about it when you make your reservation. You simply can’t afford to not come!